Did you know that today is National Cheesecake Day? Did you also know that today is my birthday? Yay! There’s no better way to celebrate both my birthday and National Cheesecake Day than with Chocolate Chip Cookie Cheesecake Bars. 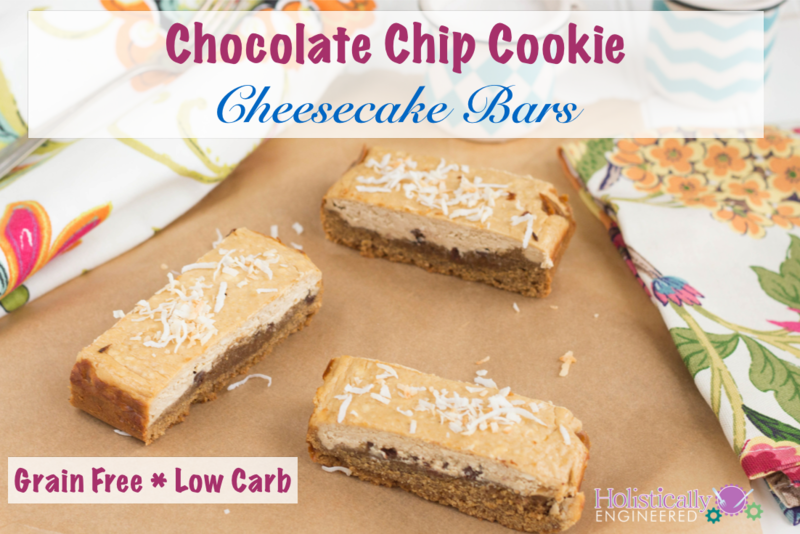 The bars have a layer of chocolate chip cookie dough on the bottom and topped with a cheesecake layer all baked until golden brown. The combination of the two is so delicious! It would probably be even better if you swirled the two layers together…kinda like my Mint “Cheesecake” Brownies. Thanks for stopping by to help celebrate my birthday and National Cheesecake Day! 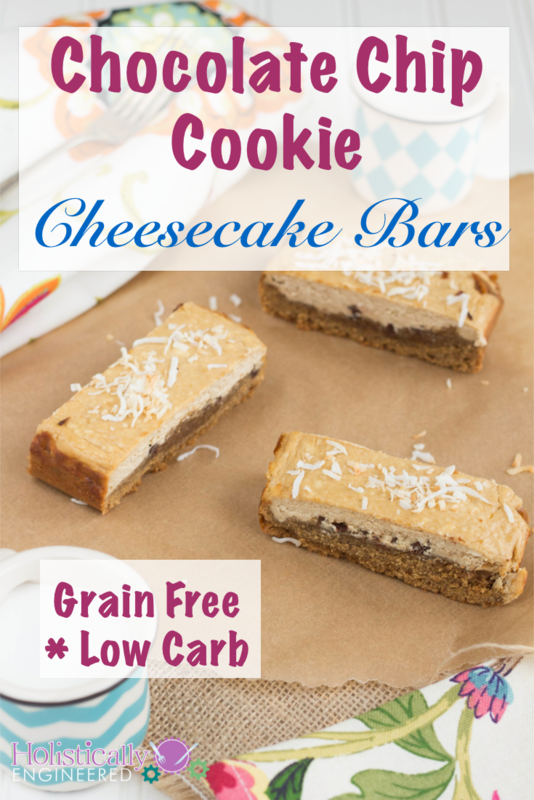 I hope you enjoy the Chocolate Chip Cookie Cheesecake Bars! Mix the almond butter, sweetener, eggs, and vanilla until smooth. Add the coconut flour and mix to combine. Spread the mixture into an even layer in a parchment paper lined 8" x 8" baking dish. In a separate mixing bowl, mix together the cream cheese, eggs, sweetener, and vanilla until smooth. Pour the mixture over the cookie layer and spread into an even layer. Bake for 20-25 minutes or until set in the middle. Allow to cool for 30 minutes and the refrigerate for 2-3 hours or overnight.